Then it was time to start thinking about weaning Alice. I don’t know about you, but I had mixed feeling when it came to weaning Alice. On one hand I couldn’t wait to see her little face as she started to explore food, but I was also a bit overwhelmed by the amount of information there is out there on weaning. 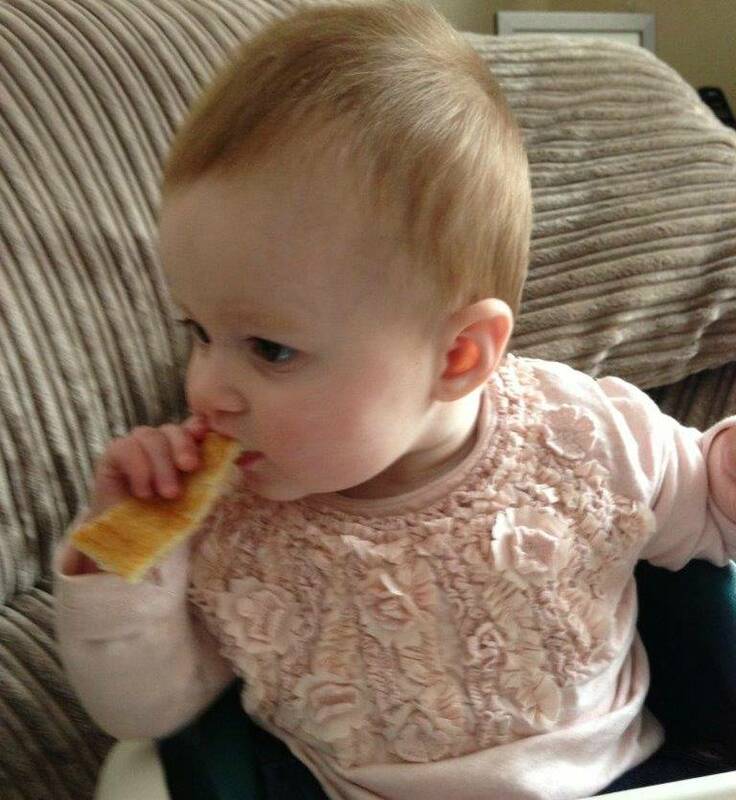 Do I do baby-led weaning? Where will I sit them while they are feeding? What will be their first ever food? What bibs are the best? The questions were endless and I spent a lot of time reading about weaning and finally decided that I was just going to do it my way. I wasn’t going to follow one person’s way of doing it and following a book word for word. So, my way was a combination of Annabel Karamel, I did feel in safe hands with her recipes and advice. Plus also, doing babyled weaning. Yes, I was going to do it all and see how we got on and see if Alice had a preference or was happy to go with both. Alice’s grandparents had kindly brought her a highchair for Christmas, but I felt to begin with she was a bit small for it and as we had a Mamas and Papas Snug with a tray that felt like the better option. By this point I had got into a good routine with feeding Alice and whilst she was a small baby, she never left the 13th percentile, she was happy and content with her milk. 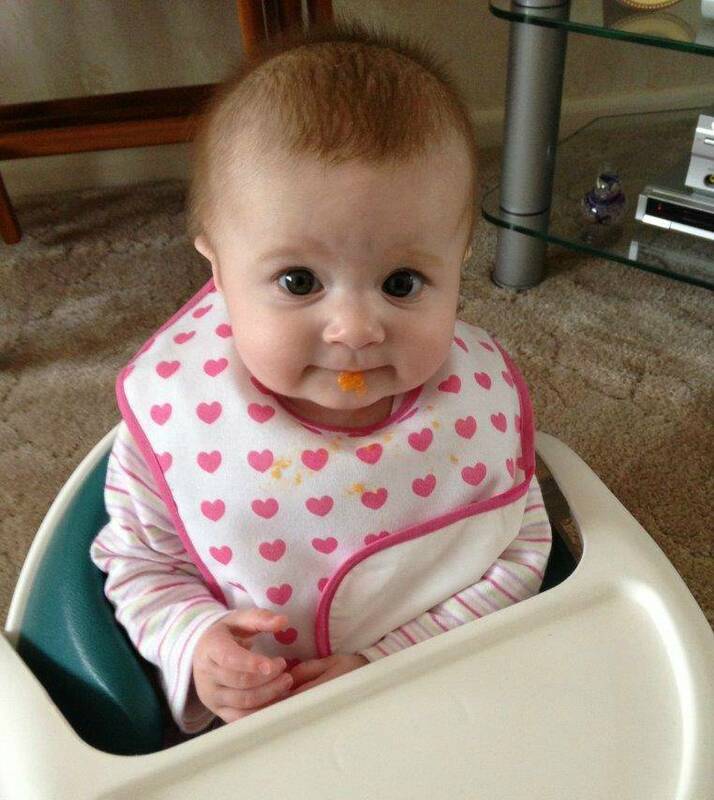 Alice was five months and two weeks old when she had her first taste, the recommended age by the NHS is six months old. I decided to start two weeks earlier, just that I wasn’t panicking the minute she turned six months that she had to be eating. There is no right or wrong, this was just how I felt. It was a day that I went to my mum’s house, always nice to have someone else to help me and my mum loves it. I had decided that carrot was going to be her first food and I had it already to go. I had brought some bibs and spoons from Mothercare, we were all set. As you can see from her little face, she wasn’t too sure about it to begin with. But lucky that didn’t last long and she did actually eat it. Success!! Well, not quite. 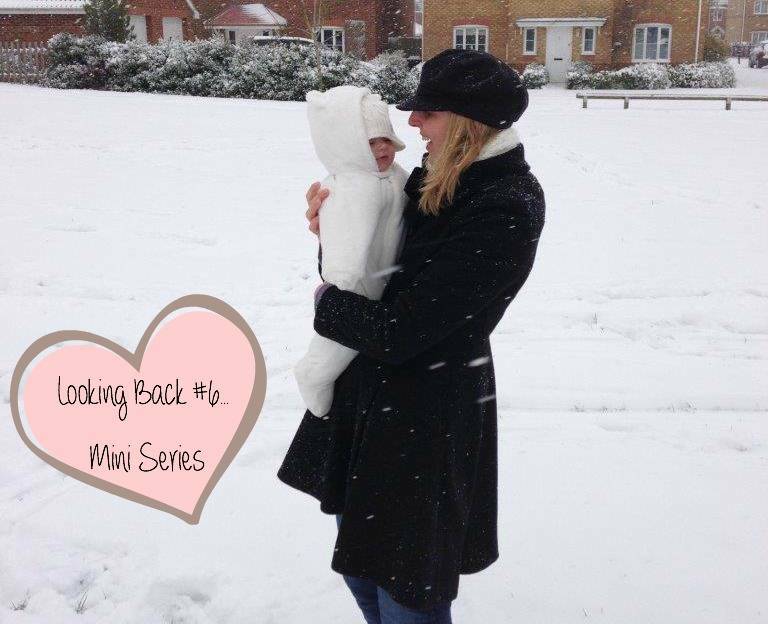 Weaning was a bit of a hit and miss journey for us, and I learnt not to worry too much. Alice was still getting everything she needed from her milk and they say that until they are one, food is fun. And fun it was! We continued with the approach of doing a bit of everything, Alice had a mixture of purree food and finger food. Yes, it got very messy at times, but that’s ok they have to learn to feed themselves. We went through the stage of Alice blowing her food at us, this was probably one of the most frustrating times. Only because I would end up covered in food and took to wearing an apron! It was certainly fun and Alice is a little girl that loves her food. There is a lot to think about when starting to wean your baby and having been through it twice, I have put together some Top Tips, which you may find useful if you are about to start weaning. Next week I’m back with our first family holiday. Such cute photos. I did a similar mix – I started weaning my daughter with baby rice and she never liked it (having tried it, I can understand!) 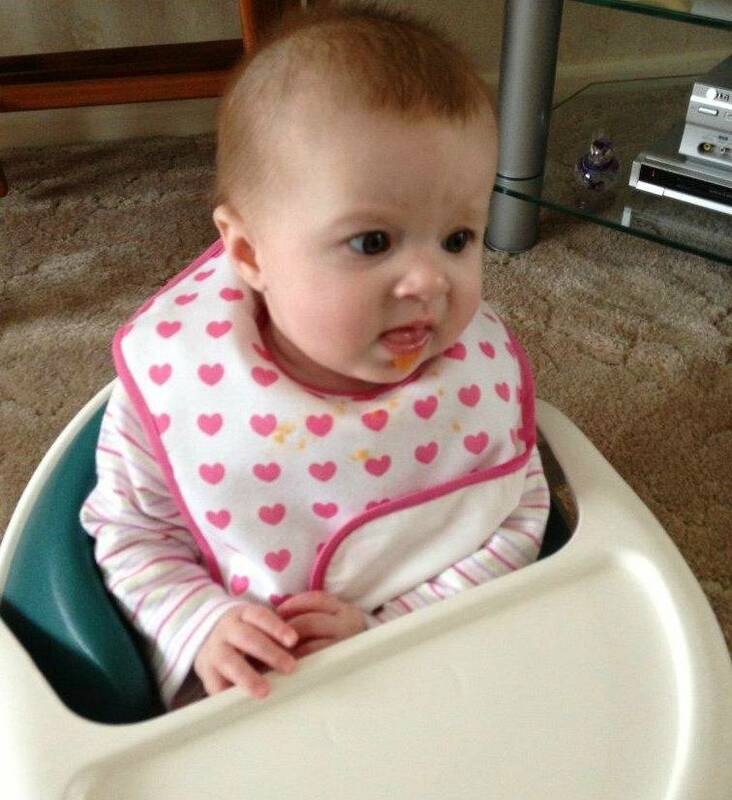 but the second I tried pureed fruit and veg, her little eyes almost popped out of her head at the taste. Yes, every baby is different. Ha Ha I know it is weird! Weaning’s such a fun journey. 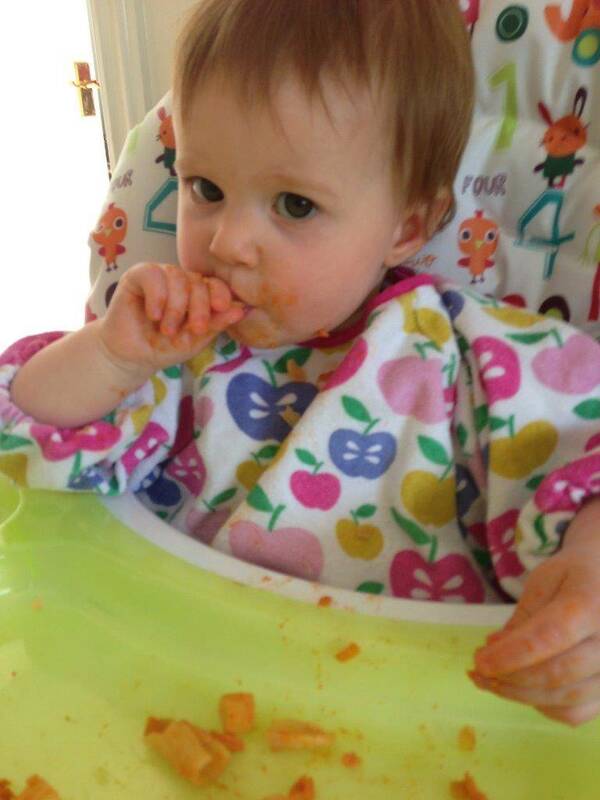 We did baby led weaning and it was brilliant, worked really well. Yes, fun and lots of mess!! Oh this is such an adorable post! Its so lovely that you have kept a great record of times like this. She is a real cutie!